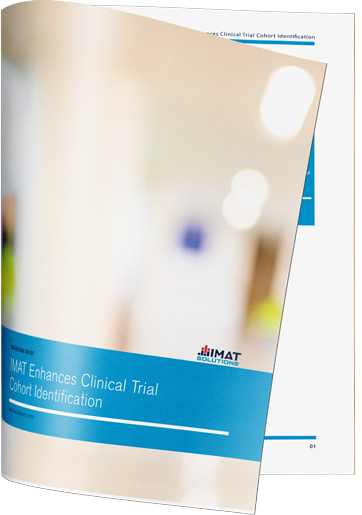 IMAT is a fully-integrated solution that offers data normalization, validation, and cleansing; standard and custom reporting; population health management; predictive analytics, and more. IMAT is composed of modules, reports, and services which are selected to create the optimal solution for each customer. 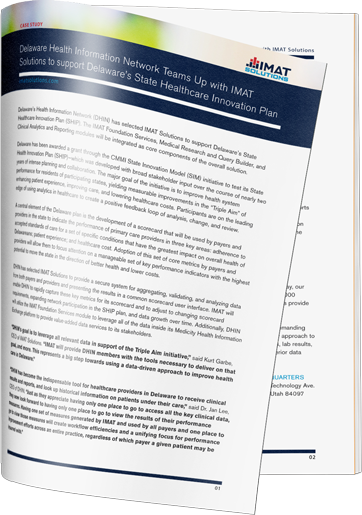 Delaware’s Health Information Network (DHIN) has selected IMAT Solutions to support Delaware’s State Healthcare Innovation Plan (SHIP). The IMAT Foundation Services, Medical Research and Query Builder, and Clinical Analytics and Reporting modules will be integrated as core components of the overall solution. 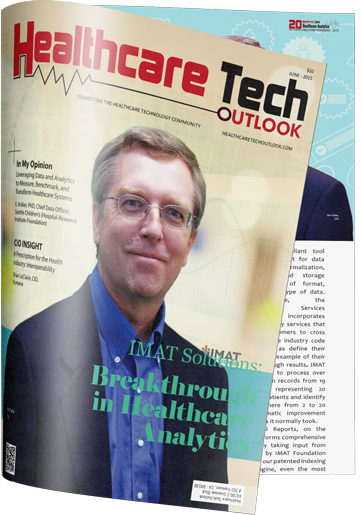 IMAT Solutions allows payers to connect, collect, validate and normalize all health data for not only tackling today’s data tsunami challenges, but also for better aligning claims and clinical systems to drive more coordinated care, and advance new payment models and population health initiatives. 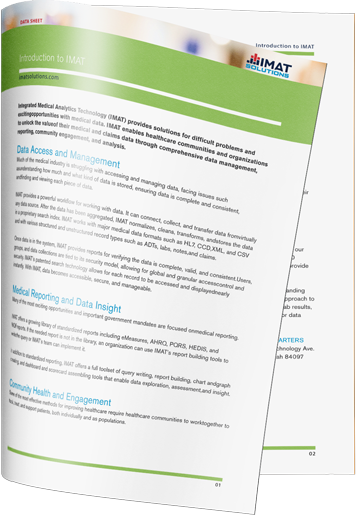 Timely access to data is always a top priority for mature organizations. 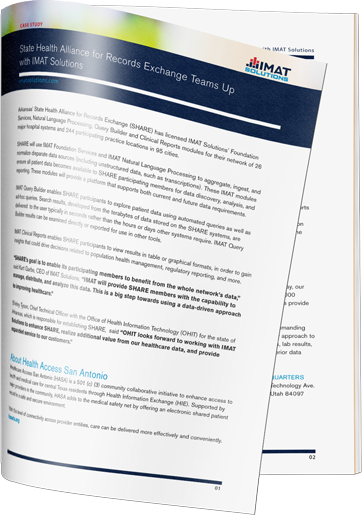 Identifying and acting on the information housed in an organization’s data repositories can literally mean the survival of a company. The problems associated with connecting with this data, however, are many and varied. In clinical trial research, for example, organizations need to index and query databases with billions of rows of data representing many millions of unique patients. 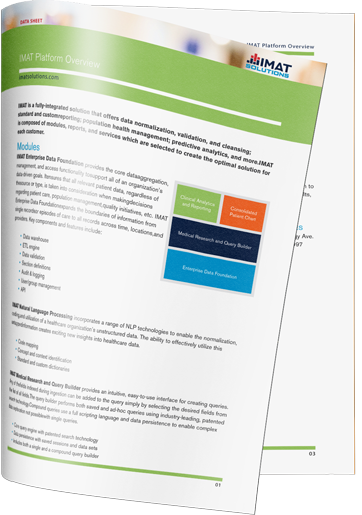 Our client has invested significant time, resources, and revenue in implementing a recognized integration engine to collect, validate and normalize data from multiple facilities across 20 plus EHR solutions. 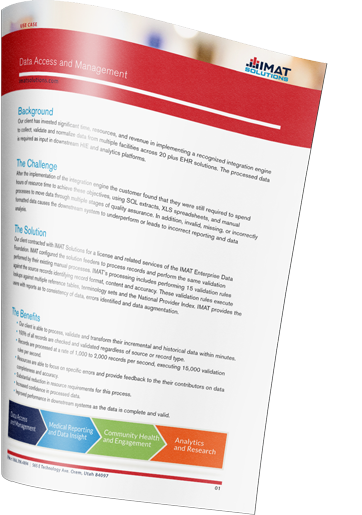 The processed data is required as input in downstream HIE and analytics platforms. Our client receives HL7 and CCD/CCDA records from multiple sources in various formats. The information in these records is required in downstream systems that are limited to ingesting data in a specific HL7 2.4 and XML formats. Healthcare Access San Antonio (HASA), the non-profit, community Health Information Exchange (HIE) for North, South and West Texas, turned to IMAT Solutions to build out the MPI, and help it reveal actionable information stored inside multiple applications, improve clinical outcomes, increase efficiencies, and enhance patient satisfaction. 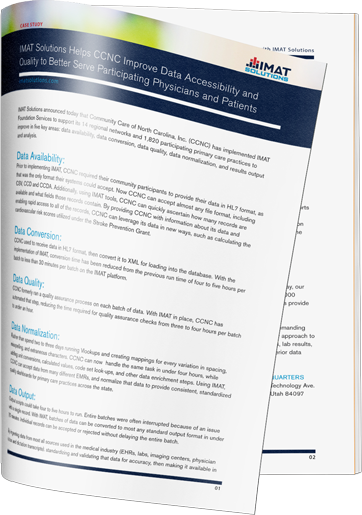 Community Care of North Carolina, Inc. (CCNC) has implemented IMAT Foundation Services to support its 14 regional networks and 1,820 participating primary care practices to improve in five key areas: data availability, data conversion, data quality, data normalization, and results output and analysis. Arkansas’ State Health Alliance for Records Exchange (SHARE) has licensed IMAT Solutions’ Foundation Services, Natural Language Processing, Query Builder and Clinical Reports modules for their network of 26 major hospital systems and 244 participating practice locations in 95 cities.